WAIT! WANT TO READ ABOUT IT INSTEAD OF THE VIDEO? Many who are on this page right now are very familiar with Mark Hendricks, and his work. Especially for the many that he personally helped, his loss still really stings. Here in the online business world, Mark was best-known as a renown teacher and mentor who helped thousands of people build successful businesses over the last 25 years. In addition to being a marketing expert; he was a top sales copywriter; joint venture specialist; author, speaker, consultant, mentor, and success coach who helped people around the world achieve more sales and profits. He was specifically known for his high level of excellence and integrity in business, and he left a legacy of successful students and happy customers. 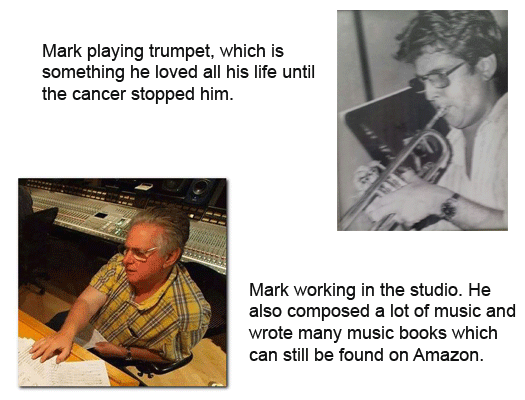 Beyond the online business realm, Mark was a husband, a father, and a prolific musician who played with or conducted orchestras for artists such as Tony Bennett, Luciano Pavarotti, Mel Torme, Bob Hope, John Denver, Gladys Knight, Andy Williams, Julie Andrews, Dionne Warwick, and many, many others! Needless to say, Mark was a successful and very well-loved man. Unfortunately, he got cancer a few years ago, and after a courageous battle against it, he passed away in 2017. He was a kind and gentle soul, strong in his faith, caring for others, and generous to the end. It's in that spirit of generosity that we're bringing you this firesale today. I’ve partnered with Mark's estate to essentially liquidate Mark's incredible library of valuable digital products that he created throughout his career. In addition to not being able to work much in the past couple years, he underwent alternative cancer treatments that weren't covered by ANY health insurance, and didn't have life insurance to cover it either. So we hope that this will help generate some income for Mark’s estate, but more importantly the primary mission of this firesale is to continue the work that Mark began. We’re putting Mark's products into the hands of like-minded marketers like YOU, so that you can continue to benefit from these products by using them, and also by RESELLING them as your own products, and helping others build their businesses. In this way, Mark's legacy will only continue to grow, and his work can be built upon and even taken to the next level by new generations of entrepreneurs. We're talking about products that have literally generated millions of dollars. It means that you can grab ALL of those products right now, with a reseller license, during this limited time firesale. You won't ever find a more qualified coach, a man with more integrity, or a person who will invest who he is and what he knows in your success the way Mark Hendricks does. If you want to warp speed your business success, Mark IS the guy! I've known Mark for years and consider him to be one of the really greats when it comes to training. He's one heck of a guy and someone I trust completely. Mark, it seems like I’ve bought every ebook, course, and piece of software on internet marketing, and was still confused on where to start. Your relaxed style of teaching, your honesty, and personal attention are really appreciated – and the amount of knowledge you convey is impressive. Just the tips, tricks, and techniques you taught me in just two days was worth much more than the thousands of dollars of information I had already paid for! I highly recommend that anyone needing to sharpen their marketing skills and move their business forward - get a hold of Mark Hendricks. Thanks again. I turned to Mark Hendricks as my personal coach when I wanted to transition my business from 100% speaking and consulting with multi-nationals to also providing affordable information products and services to small business and individuals. Why? 1) He knows what he's talking about because he's been doing it since before Al Gore could spell i-n-t-e-r-n-e-t.
2) Mark eschews the "I'm-a-guru" hyperbole others use to push expensive products and services that don't deliver on their promise. Instead Mark just delivers and delivers. Mark, you're at the top of my list. Your integrity is unmatched by anyone else I know in the business, and you're always ready to help and encourage others. I appreciate all you do for us. Thanks, and God bless you. Mark Hendricks is one of the real guys. He was able to understand and get to the heart of what I needed to do in less time than anyone I have ever met. The way he helped me get clear in my head what I needed to do, is more than hours of listening to audios, watching videos and reading other peoples stuff has ever done. If you can get close to one person and get some of his insight – by whatever means possible – make it Mark Hendricks. I am still blown away at the amount of valuable information you gave me in such a short amount of time. I now have a whole new business model to work with and ways to implement the very things that have been holding me back. Don’t think… just do it. Mark is the real deal and one of the few leaders in this market. He’s 100% bonafide, real deal. Thanks again Mark. What surprised me was that what you showed us, I thought I already knew – but then you made me realize I have not actually been DOING it! You helped me realize that I must plan strategically, actually WRITE IT DOWN and then take action on the plan, and finish what I start. You showed me how I need to be more disciplined and balanced to be able to achieve any type of long-term sustainable business success. You also helped me to see different options for positioning my website and business to be more effective in making sales online. I am daily using and referring to the planning tool you gave us, which is helping me stay on track and work toward my goals of a sustainable business and more balanced and prioritized life. Mark, I really appreciate your help, your wisdom and insight, your gift of teaching, your spirit of service and giving back, and most of all your heart and the inspiration that you bring to me and many others. Thank you! With the gift of insight, perception and forward thinking, Mark Hendricks was able to listen to my "day in the life of a feed store owner" and give me incredible ideas to grow my business. Mark takes the talents he sees in each of us and projects them into the business at hand, which in turn enables us to become more successful at our ventures, whether they are online or in a brick and mortar store. Mark has a unique teaching style that really clicked with me. He has a way of taking complicated concepts and making them very clear and easy to understand. It's the 15 Minute Hurricane of Serenity. That’s what meeting with Mark Hendricks is like. Imagine clarity, simplicity and focus. That’s on the outside. Now think about the flood of ideas, the sudden knowledge of your missteps and your future direction. Imagine what joy and purpose this hurricane of thoughts will drive you toward. It only takes him 3 minutes to understand, to pull from you what you really want to be doing, to give you a goal you knew you already had. Mark is a magnet of purpose, he'll bring it to the surface. 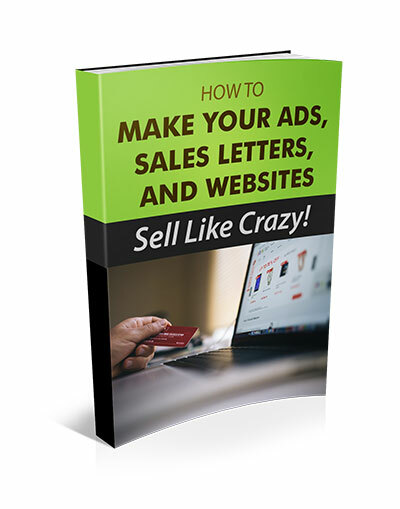 He pointed out three action steps I could take to increase my conversion rates. It really was wonderful that he could pin point three items so quickly and when he did I totally saw what he said made perfect sense. At first I was quite skeptical at what I could learn but Mark really did surprise me. His advice was timely, specific and so very worthwhile. Thanks Mark for your very valuable generosity! I've been able to incorporate the information that I learned from you into different areas of my life as well as use it to help others. Thank you for sharing your wisdom, knowledge, and your immense generosity! Mark's customers obviously loved him and his products. In fact, Mark made much of his income selling many of his products almost exclusively to his OWN list. Because of that, the market never became saturated with these products. So not only are these products high quality, but they are also PROVEN in the marketplace and in demand. Most of them are largely based on evergreen business and marketing topics, meaning the principles will never go out of style. Since Mark is no longer with us to continue to develop and sell these products himself, we’ve decided to let YOU sell them as your own products. I think Mark would be thrilled to see that his work will now be able to touch many MORE lives, and be able to put more money into the pockets of the people he'd been helping for all those years. By grabbing this firesale package today, you’ll receive an exclusive reseller license to sell each and every product in this package! By acquiring this license today, you'll have NO royalties owed to Mark's Estate: it's YOUR business... it'll be YOUR customers... and it'll be YOUR money. Mark's products sold for hundreds and in some cases thousands of dollars EACH. But you're going to get these WITH rights for one crazy low price today. This is a video workshop that Mark did. As far as I know it was never sold as a stand-alone product, but I felt it would make a great one so we had the video transcribed, and also created the ecover. 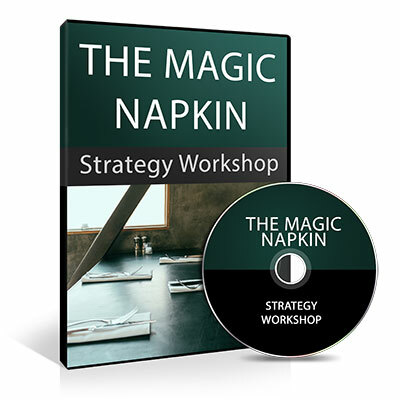 This is a Massive Audio Course with Transcripts, Workbook, and Reseller Sales Page. This is another video workshop that we had transcribed, because I felt it would make a great new product. It's really an evergreen topic too! 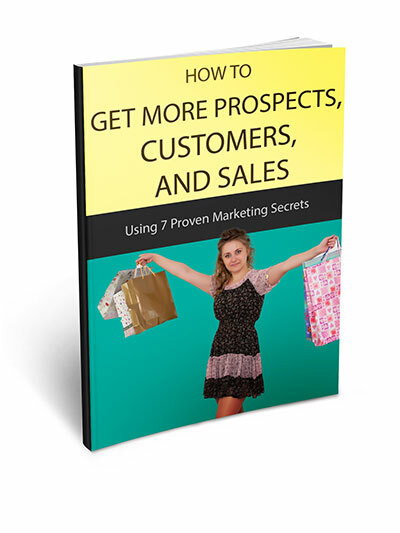 Hot to get more prospects, customers, sales and profits for your business using 7 proven marketing secrets. 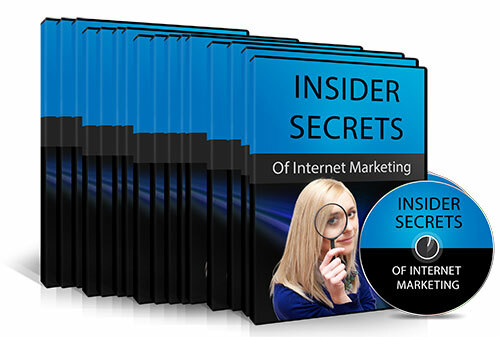 Contains 60 Hours of Live Q&A and Internet Marketing Training plus Transcripts and a Reseller Sales Page! - How Do You Land That First Big JV When You Know You Have A Superior Product, But Your Best Potential JV Partners May See You As Direct Competition? - Are You An Expert, Or Not? - What Is Better Than Content? - Should You Bribe People To Give You Feedback? - How Do You Reach The People Who Are Suffering From Information Overload When You Know That Your Product Is Superior To Similar Ones That They Have Already Purchased? - What Kind Of Products Can We Easily Make That We Can Sell On The Internet? - Should You Be Going To Live Events? - So, Who's The Boss? - How Do You Structure The Business Relationships, The Profits, And The Money Aspect Of Joint Ventures? - Should One-Time-Offers Really Be Only Offered One Time? - What's The Best Way To Earn Money With Resale Rights Products? - Is There A Best Way To Build A Site? - Mark, What's Your Typical Day Like? What Are Your Thoughts And Actions From The Time You Wake Up In The Morning? And that's just what's in the first 2 volumes! At first I listed all 16 volumes here on this page, but it was so long you'd be scrolling though it all day. Needless to say, there is a LOT OF CONTENT in this product package. 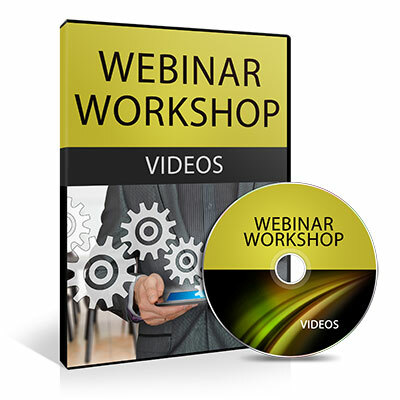 You're getting two complete conferences with all the recordings, plus workbooks, and Reseller Sales Page! This is actually a new course that Mark didn’t get to release. So this is the first time it’s being released in its entirety! This includes over 100 hour long coaching sessions! An incredible amount of material. 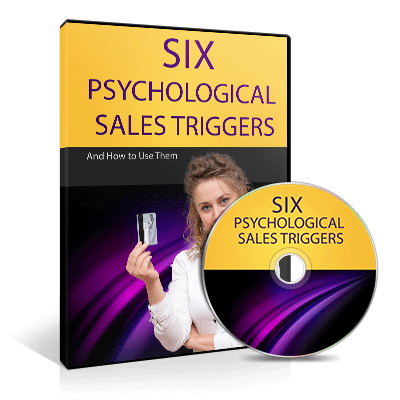 The marketer's secret "key to the vault"
This is a a huge product containing about a Gigabyte of videos, audios, and documents teaching mainly how to do offers and sales letters, and it comes with a Reseller Sales Page! 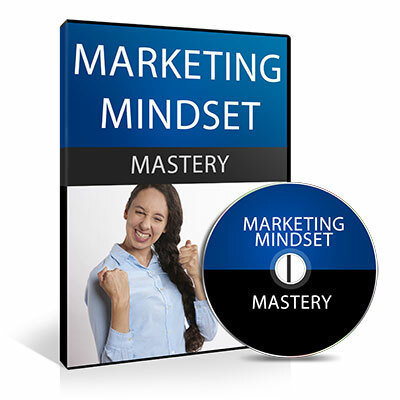 This is a 4 hour course on mindset and also comes with a Reseller Sales Page. There's lots, lots more... you'll be amazed at what you learn and master! 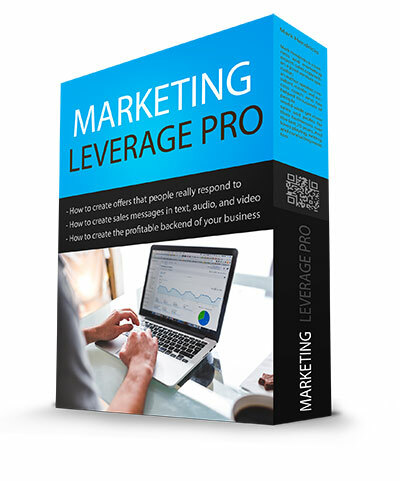 Contains about 50 audio and video training sessions, and is geared toward offline brick-and-mortar businesses, and comes with a Reseller Sales Page! This is another video workshop that Mark did, and I felt it would make a great stand-alone product. I mean, it sure has a catchy name, doesn't it? So we had the video transcribed, and also created the ecover. This is a ton of solid content, with 17 workshops on various marketing-related topics! PS - next to the headline, this is the second most closely read part of your sales letter! You're Getting ALL of Those Products WITH a Resale License! Plus 10 of Them Come With the Original Sales Pages Written by Mark Himself! It's important to keep in mind that some of those are very BIG products too! 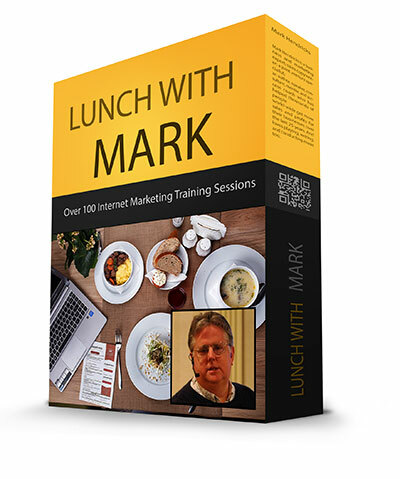 For example Lunch with Mark contains over 100 sessions, and some of the other products have 20 to 50+ training sessions. Since you're also getting sales pages with many of those products, it's as easy as putting your own payment link on the page, uploading everything, and you're in business! You're also getting all the e-cover graphics that you've seen above. Now, if you'd like to take a closer look at those products and see the actual files that you'll be downloading, I actually do an in-depth walk-through toward the end of the video at the top of this page. So if you want to see all those details first, you could scroll back up and watch the rest of the video. Alternatively, you can simply take action now and you can be downloading all those products for yourself in a matter of minutes from now. One thing is for certain. Absolutely none of these products were outsourced. These were not made for the purpose of selling them in a firesale. These are truly high quality products created and developed by the legendary Mark Hendricks himself, and his customers will attest that these are the real deal. Remarkable is an understatement. I came upon Mark Hendricks by chance and was given a unique opportunity to become a student of his. His knowledge is unsurpassed not only in the field of business but in other areas as well. Since he is a humble man you will not find a lot of people singing his praises on the internet because that is not who he is. I can best describe him as a method teacher from a time period long ago when people took on an unpaid apprenticeship just to learn from a master and the master took on the student with the understanding that the student is the one who is responsible for themselves and the master can only assist the student in finding out what he or she needs to know. I have worked with Mark for a while now and can whole heartily say if you just try him for yourself I am certain he will be a good fit for you in one way or another. Mark consistently over-delivers, providing outstanding value and superior expertise in every area. I can honestly say that you will not find a business consultant with more integrity anywhere on the planet, at any price. Mark is one is one of the very few I would trust to tell the truth even if it costs him to do so. If you don't know Mark, you are missing out. I am grateful for Mark's knowledge, products and services, support, and yes, friendship. My investment in Mark's coaching - and his investment in me - is paying fabulous dividends. Mark is one of the sharpest marketing minds on the planet... If you are looking for someone who has forgotten more about online marketing than you will ever know (but still know a LOT more than most people on the planet) look no further than Mark Hendricks. He is a mentor, a genius, a masterful JV broker and strategist, highly skilled copywriter and all around genuinely good person. I can offer no higher recommendation. 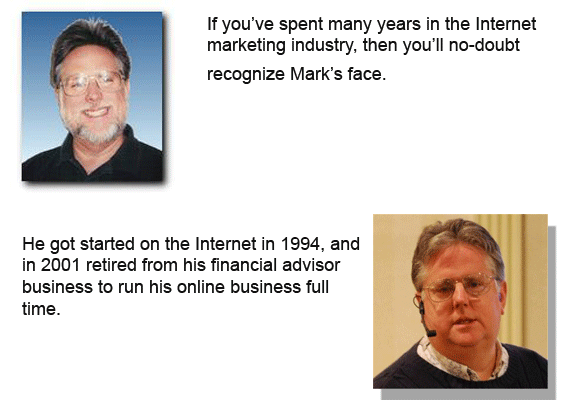 Mark has been involved in internet marketing from the very beginning. I have learned a lot about internet marketing from Mark. 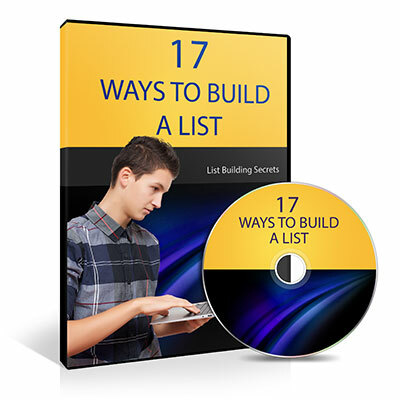 He is an expert on building email lists through very unique and effective methods. He is a person I can recommend with the highest confidence. I have known Mark for more than 5 years and he is remarkable. Apart from being a well known marketer, his contribution towards "List Building" is phenomenal with his legendary promotions. 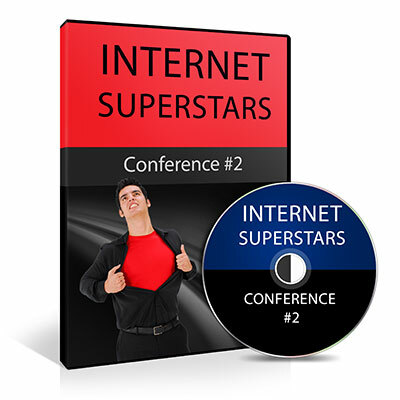 I have worked with Mark and also shared the stage with him as a speaker at "Internet Marketing Super Conference". I recommend Mark for all my contacts without any hesitation. There are not many people I can honestly recommend as a business coach without hesitation in today's world of Internet fakes. Mark Hendricks is not only genuine, but he knows what he's talking about. Many so-called "Internet Gurus" don't walk the walk. Mark not only walks the walk, he will help anyone truly wanting to succeed. I don't endorse many people, but Mark Hendricks gets my 100% endorsement. Listen to what he says! Ed Hudson Hudson Enterprises, Inc. In a world where integrity seems to be lost, Mark is a man of integrity who I trust in business as well as a family friend. Mark is an accomplished marketing professional and multi-talented individual. If you’re new to internet marketing and want to learn the ropes, he’s your best bet. He has a great patience and talent to explain complex concepts in simple words. Every established marketer has his particular strengths. 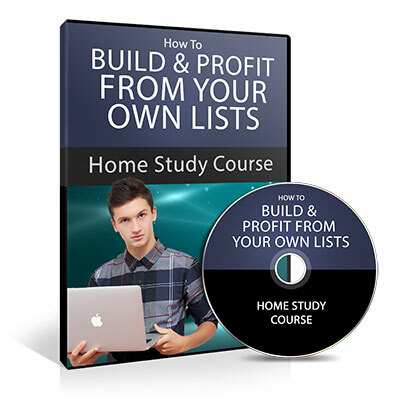 Mark is a master of list building and copywriting. I don’t care how proficient you are in those disciplines. There is a good chance you can still learn a trick or two. Mark is one of the few people I know who walks his talk. With an amazing level of passion for his clients coupled with a desire to give them the best information available, Mark is a leader who stands out far and above most everybody else in the industry. He is eager to share his knowledge and he takes great pride in helping his clients achieve new levels of success. I highly recommend Mark and his training programs. Robert Imbriale Ultimate Wealth, Inc. 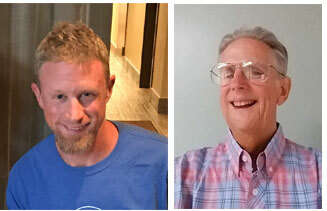 I've known Mark since 2003 and rank him as one of my most trusted mentors. Mark is extremely knowledgeable regarding all things marketing and puts truth and ethics above all else in his business. I have been privileged to offer several of Mark's products as an affiliate, plus I've bought several of them for my own use. They are always top quality and reflect what's working right now on the internet for making a living online. 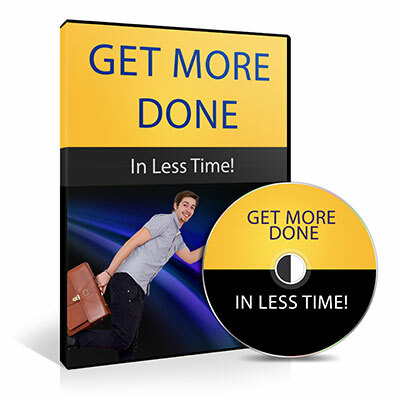 Mark's teachings have helped hundreds of people find huge success on the internet. He gets my highest possible recommendation! Over the years I have worked on various projects with Mark. He is one of the most honest and ethical marketers I know. Not only that, he knows marketing inside and outside, and he will teach you marketing the right way. He won't waste your time with gimmicks or tricks. Instead, you'll learn how to build a business from scratch and market it in a way that will really make you money. Mark Hendricks is one of the finest businessmen I know, and I can't think of too many others I'd rather work with than him. If you get a chance to work with him, count your blessings. I count him among the VERY BEST! I have no hesitation in recommending Mark to anyone (from beginner to expert) who is looking to find ways to increase their business results online or offline. Do not be deceived by Mark's lack of hype and flashy promises normally found in the online marketing sphere. I would encourage any serious student of marketing to sit with his material and let it sink in. His words will stay with you and will pay rich dividends time and time again. Mark is one of the few marketing specialists that I truly respect and listen to. His expertise is based on real-world experience - Mark has been a business owner, marketing expert, business coach, and information product developer for a long, long time. His comprehensive background shows in his involvement with his clients and customers. Bottom line: Mark gets 5 stars and two thumbs up from me! I know, and know about, many Internet marketing and business consultants. However, I've never met one with more personal knowledge and experience, or with more personal character and credibility as Mark Hendricks. I highly recommend him. 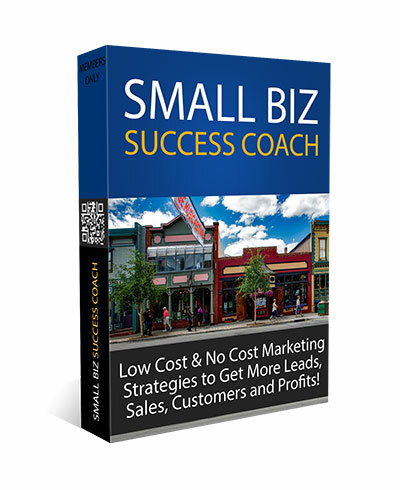 Mark is an expert at internet marketing, webinars and promotion for joint ventures. He is an outstanding teacher, who is not only very effective and professional at what he does, but still manages to keep that personal touch, so often lacking in many others in this field. I have worked with Mark, personally, and I can recommend him without reservation. Mark Hendricks gets my highest recommendation as a teacher, coach, speaker, product creator, and software developer, to name a few. He always delivers top-notch training, products, and advice. He has the highest integrity and genuinely cares about the success of his students, clients, and customers, in an industry where that is often not the case. Mark Hendricks is a breath of fresh air in a crowded marketplace. His insight and innovative strategies from idea conception to implementation is both effective and essential to long-term success. My experience with Mark has been exceptionally good. I highly recommend him and his services. The Great News is That It's Not Too Late to Learn from Mark and Become a Part of His Legacy of Success! 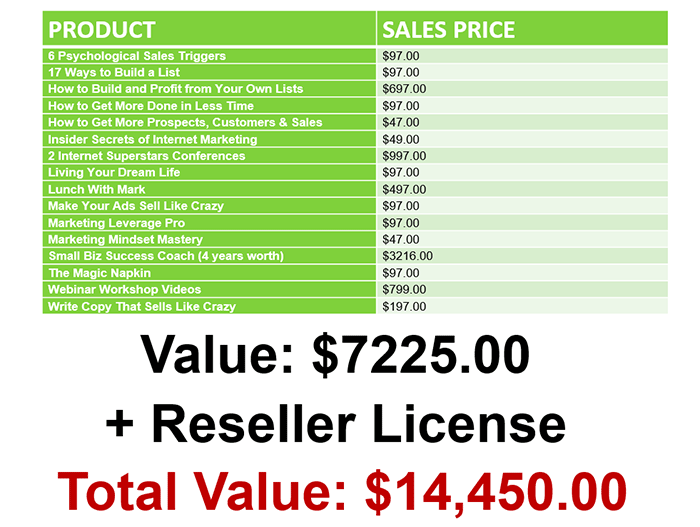 By Grabbing This Firesale Package You Will Own a Massive Library of Mark's Products PLUS the Exclusive Resale License! At this point, you're probably wondering... what's the price of this incredible firesale package? After all, these are actual materials that generated millions of dollars of online revenue. In other words, these are the assets of a seven figure business. Just think about how much money you can make by selling these products. When you realize how much this can be worth to you, maybe you'll understand why we had a hard time coming up with a price below $2000. And considering all the hard work and years of Mark’s life that went into the creation of these products I don't think $2000 would be unreasonable at all for this package. That having been said, I wanted to keep it affordable for as many people as possible, and so we wanted to keep the price under $1000. A price of $997 would be a real bargain for this package. After all, these are proven products, some of which have sold for as much as $997 on their own. This is not some package of outsourced junk, or just some little thing. These are the work of Mark Hendricks himself. These are HIGH QUALITY information products that have actually generated hundreds of thousands of dollars. However, we've decided to do something crazy here. We've decided to do something that will help AS MANY people as possible, and will ensure that Mark's legacy will only continue to grow. So if you've arrived here on time, before this firesale ends, you can have this entire Mark Hendricks Firesale package for only $497. The value is $14,450. You’re getting it for $497. This is truly an amazing deal, and I encourage you to click the order button now and claim your copy of this firesale package before it's too late. I am standing behind this package with a 100% money back guarantee, so your investment today is risk free! If you are not satisfied with this package, just let us know within 30 days of your purchase and we will refund 100% of your purchase. After 30 days, all sales are final. 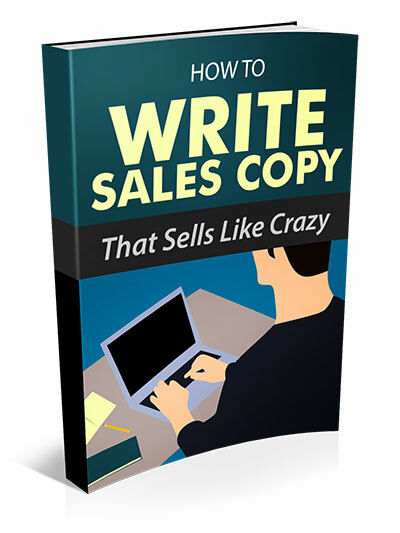 All you would have to do is sell ONE copy of ONE product to make back your money! And you can choose your own sales prices. So if you sold one product for $997 you'd be doubling your money right there. Suppose you set it up as a membership site and if you sold one membership for $1000, which is a normal selling price for some of those products, you'd have an instant 200% return on investment, again from one sale. I can't emphasize enough how rare this opportunity really is. This is unprecedented, because Mark never did THIS kind of firesale or offered this kind of rights package for all this products. In fact, Mark was always adamant about NOT devaluing his products by selling them too cheaply, right up until the end of his life. And because of that, what you’re receiving today are products that are truly valuable in the marketplace and you're getting a reseller license that has NEVER been offered before. At the same time, Mark was so generous. And because of that, I really think that if Mark could look down from heaven and see this firesale he’d be laughing with joy, seeing how his products are going to be blessing people for many years to come. Still, I can hardly believe we're giving you a virtual clone of Mark's business... it's like we're handing it to you on a silver platter. And these are products that you can sell for YEARS into the future. As you heard Nick mention in the video above, Mark's work is really timeless. I highly recommend going through these training courses for yourself. It's a fantastic education covering so many things, and ultimately teaching how Mark built his business, and helped thousands of others build successful businesses. So EVEN IF you're not interested in being a reseller, or if for some odd reason you decided to be lazy and never sell a single copy of these products to anyone else... you're getting way more than your money's worth just from the products that you're going to download today. These are fantastic training courses, and I'm not exaggerating when I say that the knowledge and techniques contained in them are things that you can pass on to your children and grandchildren. So you're guaranteed to get your money's worth even if you never do anything with it as a reseller, never upload it to your site, and never attempt to make money reselling it. That having been said, I hope you DO choose to resell these materials because the potential is just huge. I'm also backing this up with a money-back guarantee. I had to think for awhile about that. I typically always offer money-back guarantees on all my products, and Mark always did too. However, I didn't want people "taking advantage" of the situation and requesting a refund since Mark's not around to do anything about it. But ultimately I decided to offer the guarantee because I will personally take the risk and back these products because I believe in them, and in the opportunity that I've presented to you today. It's a 30 day money-back guarantee, so you've got nothing to worry about. If you download the materials and don't feel like you got your money's worth and then some, just contact my helpdesk before 30 days and we'll process the refund! That brings up another important point that I should mention. I've got a helpdesk too, so if you have any problems accessing the products (downloading them, unzipping them, etc.) we'll be there to support you and answer your questions. This is the real deal. It’s a crazy amount of content. Many gigabytes. All you have to do is grab it before this offer ends forever. You give us $497, and we'll give you a copy of this million dollar business. It's as simple as that. You're getting all those incredible products. You're getting sales letters and other materials. So go ahead and click the order button now, and we'll see you on the download page. Thank you so much to taking the time to read this page! P.S. - This is a very rare opportunity. It's your chance to be a part of Mark's legacy and claim his business as your own so that YOU can profit from it and take it to the next level. Through YOU, Mark's dream will continue to expand. We hope that you'll take this reseller package and create a successful business of your own, or use it to enhance your existing online business. Whatever you do, make sure you grab it now, because this firesale will be ending soon. Go ahead and click the order button now, and we'll see you on the download page.